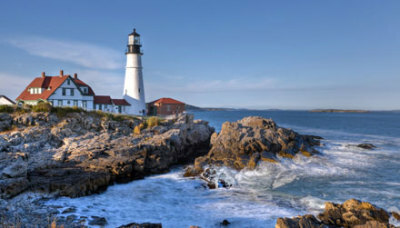 Maine, the northeasternmost state in the U.S., is known for its rocky coastline, long maritime history and abundant parks and reserves, including the famed granite and spruce islands of Acadia National Park. Moose are plentiful in Baxter State Park, which encompasses towering Mt. Katahdin, the endpoint of the Appalachian Trail. Deep, wide Lake Sebago and other Lakes Region waters are popular for fishing and boating. 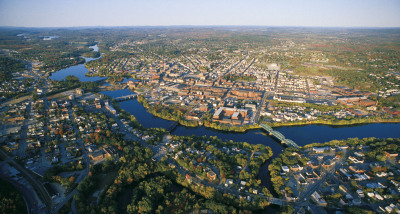 Maine, the largest of the six New England states, lies at the northeastern corner of the country. 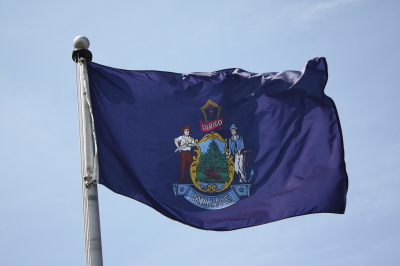 Maine became the 23rd state on March 15, 1820, as part of the Missouri Compromise, which allowed Missouri to enter the union as a slave state and Maine as a free state. 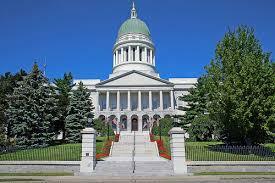 Maine is bounded by the Canadian provinces of Quebec and New Brunswick, and by New Hampshire. 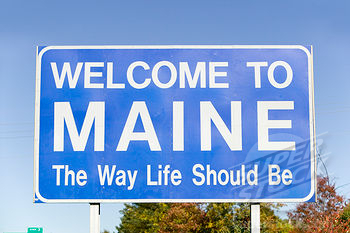 Maine is famous for its rocky coastline and is the leading U.S. producer of lobsters and blueberries. Agamenticus was the first city to be chartered in the United States in 1641. In 1642, it was renamed Gorgeana and incorporated as the first city. When the Massachusetts Bay Colony annexed southwestern Maine in 1652, Georgiana was reincorporated as York.